Nowadays, in our busy schedule, we hardly get time for exercise. Moreover, our poor diet system and irregular meal hours are ruining our digestive system day by day. That’s why we face many health problems. In these health issues, obesity has been a major issue. Why obesity occurs! The major reasons behind obesity are stress and poor metabolism rate known as BMR( Basal Metabolic Rate). Because of unhealthy and junk food, our body’s digestive system doesn’t work properly and requires an external push to enhance the functioning and to come back in its original shape. And I feel green tea is the best option for it. 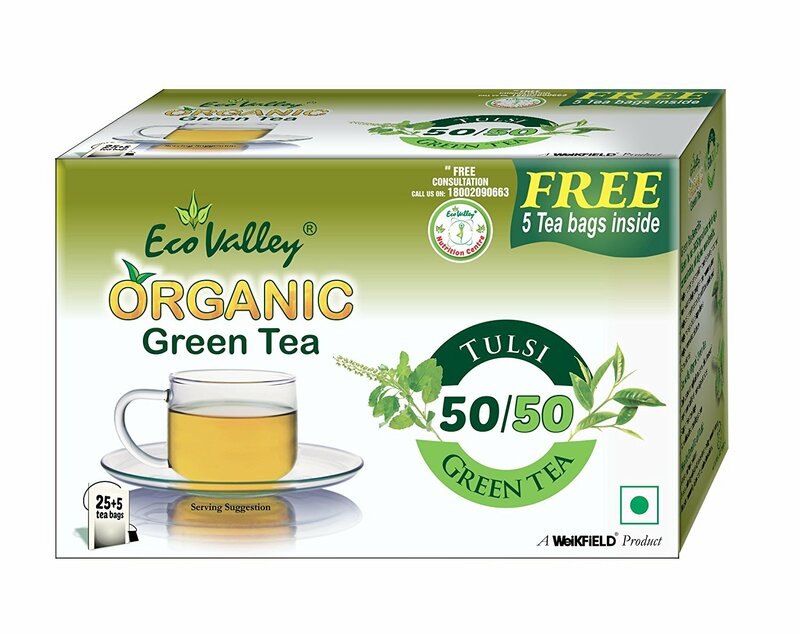 I know a few don’t like its taste, however, now you need not worry as Eco Valley Organic Green Tea has launched Tulsi flavor which is quite natural and beneficial for health. Moreover, Tulsi is an antioxidant which easily deteriorates stored food products. I am personally recommending this product because I have experienced the quality of this product. Earlier, my mother was a big hater of green tea but now she is having it regularly. And it’s been a few days only she started utilizing this product and she herself feels the change in her physique. So, I highly recommend this product to all the green tea haters. Must give it a try and believe me you will surely like it. So, don’t waste time and get yours by clicking the link.